As I’m writing this, I tried to reflect on when I first entered in the social media sphere. Partially for curiosity and other for embarrassment (ah, Myspace photos). But I can almost remember the exact day in summer of 2011 when I found out this site called “Facebook” and decided to give it a try. A couple days later I mentioned to one of my friends that I joined this network. And their response was to laugh and say “No one is on Facebook”.Boy, has that changed. 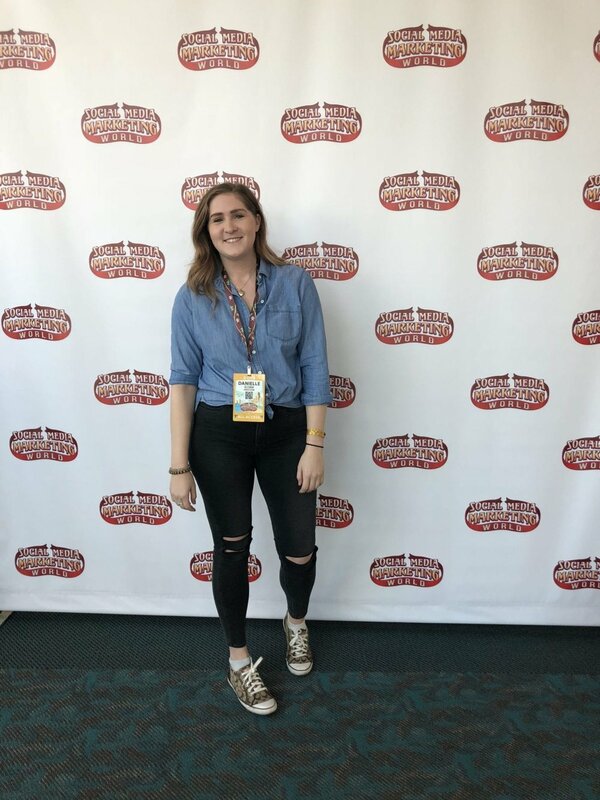 I just got back from the sixth annual Social Media Marketing Conference held in San Diego, where terms like Facebook, Instagram, Story Ads were as common as air is for us humans. (p.s. I’m totally a fan of air). Yet, when I left the conference, I had a mixture of emotions. From helping out small business owners with their social media and websites, I found the keynote all about Facebook and how you have to start using live video, but barely any mention on Instagram, Twitter, etc. So I’m laying it out for ya: where each social media platform is heading in 2018 and how you can use it to your advantage in your business. And I think that would be similar to comparing wanting flip-flops versus sneakers. Both are in the shoe category, but two are used for different things and in different ways of wearing them (or in our case, different ways of communicating with your audience on it). So instead of narrowing on just one, it’d be best to try out them for at least a couple months on each platform. Feel it out, see how your audience responds, and how you like it. You never know, you might like one you didn’t expect to. Ah, Facebook. When January 11th, 2018 hit, or as many people termed it as “Facebook Apocolypse” for business owners. Mark Z put out the article heard around the world about promoting meaningful interactions over business content. So, people, this means we got to get creative. First thing: from now on, try to post most of your content on your personal page, then share out to your business page. Because your personal page shows that you’re a person. And Facebook won’t immediately drop your post as they will with business pages. Almost every entrepreneur I’ve talked to who has thousands of followers on Instagram, Facebook, etc. Say they rarely ever put a lot of emphasis on their Facebook business pages because only 2% of your audience sees it. So it’s better to focus on other ways that bring in a higher rate of engagement. 2) creating conversations on your posts or facebook group posts that have comments with 4 words or more. Next is go gung-ho over video. I know you’re wanting to stray away from it, but its projected that in less than five years that 80% of content will be in video format. So you got to get to steppin’! If you’re at an event, go live giving a tour of the place, sharing what you’re excited to learn and see if you can get a quick interview with a fellow attendee! Because here’s the main motive facebook is wanting: to see how long you can keep users on their app. So if you can help them get there by keeping your audience engaged longer then they’ll be in favor of promoting more of your posts. Alright friends, the next form of video to use on Facebook is stories: that has taken over almost every platform. And tip tip hoo-ray! The best performing and most watched videos on Facebook are the vertical video with sound on. How to use these to your advantage? Share a tip, or an idea, or even a breakdown. Because the best content is usually one of the main 3: educational, informational, or entertaining. Yet with stories, it’s giving a glimpse into your life. So there is no need to have movie-star like audio and video. Just showing up as your unique and authentic self would be more than great for your audience. Another option is using influencers in your stories or Story takeovers (could be used on Instagram or Facebook). I do believe influencers can help, but don’t stress over collaborating with them if you don’t feel like they’re a match. They pushed influencer marketing at the conference, and if done correctly, it can work. But for small businesses, even having your client jump on and rave about your business would be great! Lastly, is to get chatbots on your facebook business page. There are tons of free platforms out there with zero code that I highly recommend like ManyChat. And they basically work as email marketing but in facebook. (Cool, right?) And you can set one up in under an hour! You can say it, “D*mn” that’s a lot. And I get it! So I created a free checklist of the tips mentioned inside to help you get started today! Next week, is all about Instagram. (Sneak peek: with one of the tools I used inside that article, I had a client come to me just through a simple hashtag). Ready, Set, Go get started!